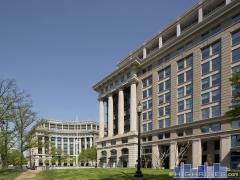 Are you searching for Washington, DC luxury condos with great amenities and beautiful city views? At Highrises.com, our customers have access to listings for new condos in Washington, DC. These lists are updated throughout the day daily for your convenience. The agents at the Abbott Klar Real Estate Group will help you find a building that fits your lifestyle. Contact them today to schedule a condo tour in Washington, DC. You'll find every DC loft, condo and high-rise currently available for sale on this site with pictures, pricing and more. Search all DC condo buildings and see what's available in each. Filter by neighborhood, building type and more. Jake Abbott and Shemaya Klar are DC high-rise specialists. Contact Abbott Klar Real Estate Group for expert representation. Washington, DC is home to a number of things for history buffs to do and explore. From Capitol Hill to a White House tour to performing arts and art museums, the nation's capital has something fun for everyone. Listing information last updated on April 26th, 2019 at 3:45am PDT.